Until about 4000 years ago, various peoples occupied the regions along the Yellow River and the Yangzi, and the east coast of modern China. 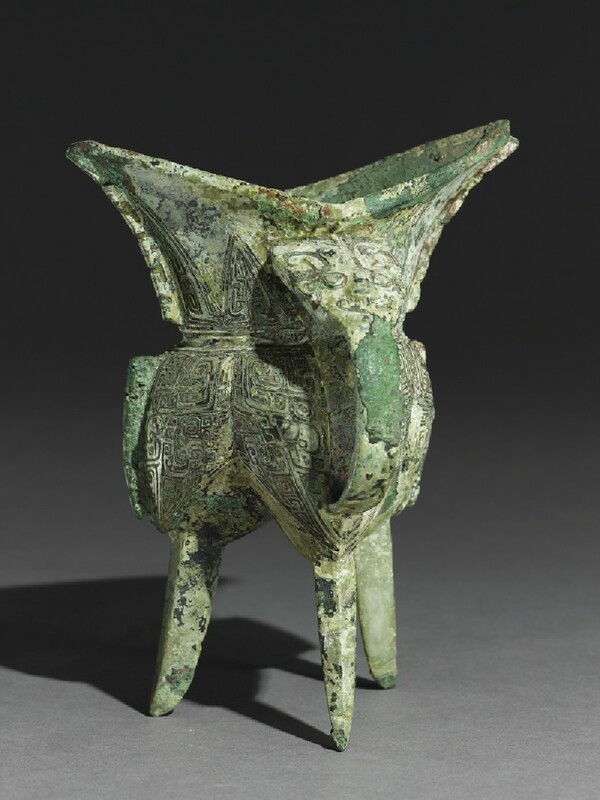 The earliest documented dynasty was the Shang (around 1600-1050 BC), based in central north China. 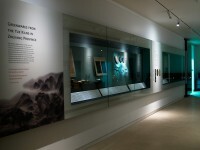 In this period society developed a religious system and written records. 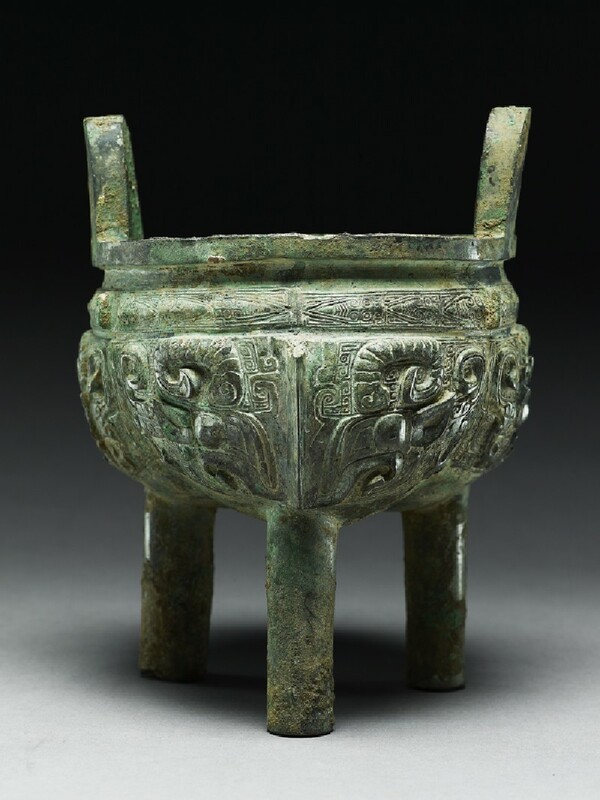 The material culture of the Shang dynasty is notable for its cast bronze ritual vessels. These are the only examples of early metalwork to be cast from piece moulds rather than assembled from sheets of beaten metal. Casting was an expensive process requiring mining, smelting, mould manufacturing, polishing and finishing. Clay piece mould technology allowed repeated panels of decoration. 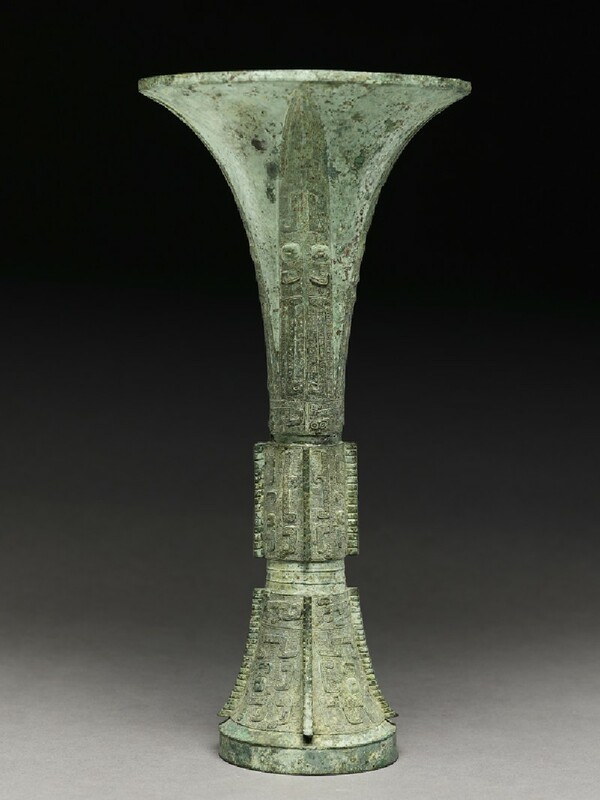 Shang bronze ornament includes monster masks and dragons as well as abstract geometric motifs. Their symbolism, however, remains unexplained.